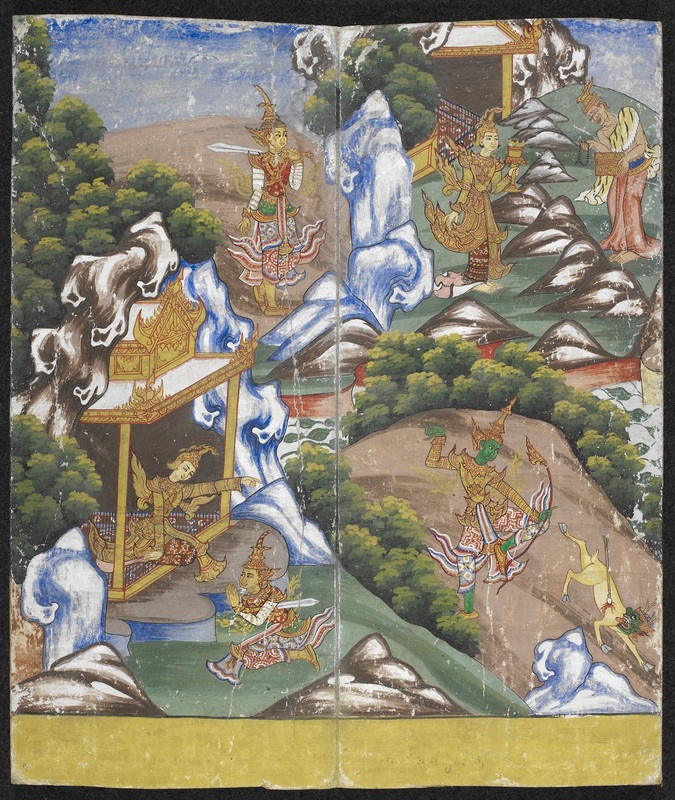 Three Burmese parabaik (folding book) manuscripts in the British Library have been digitised and are now accessible on the British Library’s Digitised Manuscripts viewer, including a Burmese copy of the Ramayana (Or.14178). 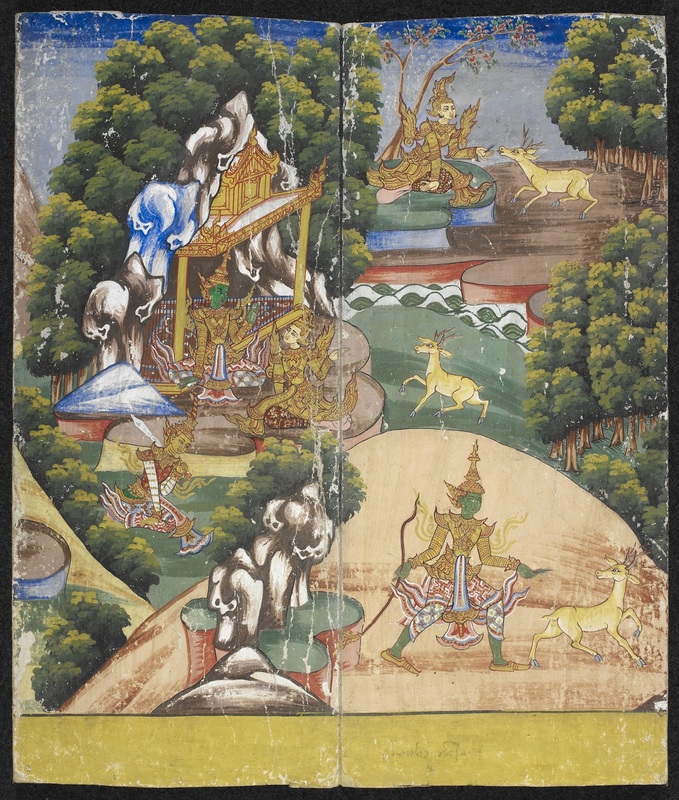 This parabaik from around 1870 A.D. has 16 pages with painted scenes of the Ramayana story with brief captions in Burmese. The paper covers are painted in red, yellow and green with floral borders and prancing lions. One cover has an inscription in black ink in Burmese, giving the title, Rama Zat, and a brief identification of the contents, as follows: Rama strings the bow; Dusakhaya demon in battle; offerings of alms; abduction in the chariot; building of the stone causeway; and arrival in Thiho (Ceylon/Sri Lanka). The oral tradition of the Burmese Ramayana story can be traced as far back as the reign of King Anawrahta (A.D.1044-77), the founder of the first Burmese empire. It was transmitted orally from generation to generation before being written down in prose and verse, and as a drama. 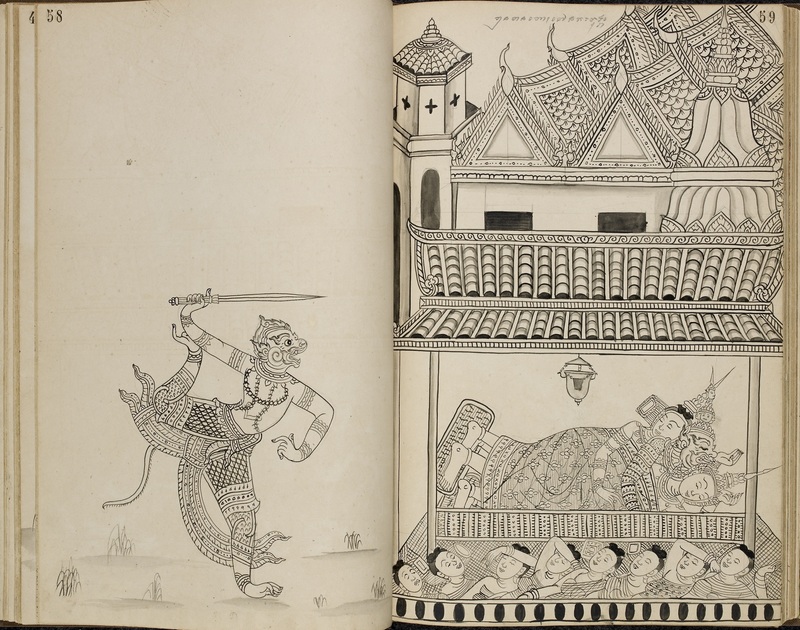 The first known written Burmese version of the Ramayana is Rama Thagyin (Songs from the Ramayana), compiled by U Aung Phyo in 1775 (a typescript copy from a palm leaf manuscript made in 1980 is held in the British Library as MYAN.A.2579/1-2). A three-volume copy of the Rama story called Rama vatthu was written on palm leaf in 1877 (MAN/BUR315). 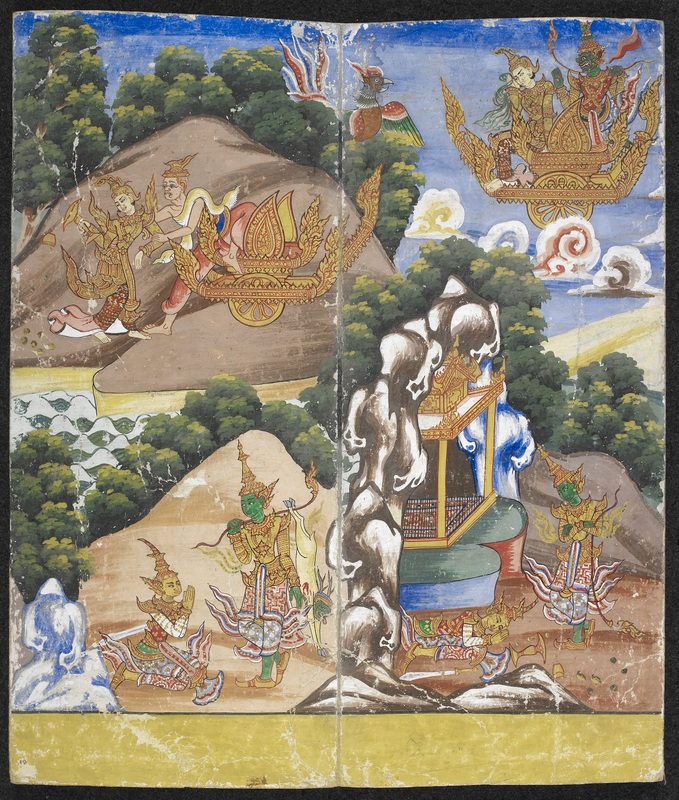 Early printed versions in the British Library include Pontaw Rama (Part 1) by Saya Ku, published in 1880 (14302.e.3/5); Rama thonmyo zat taw gyi vatthu, 1904 (BUR.B.604); Pontaw Rama and Lakkhana (Part 1) by U Maung Gyi, published in 1904 (14302.e.11); Rama ruidaya zat taw gyi by U Maung Gyi, published in 1907 (BUR.D.74/3); Rama yakan by U Toe, published in two volumes in 1933 (14302.b.52/1); and Rama thon myo by U Pho Sein, 1936 (14302.aa.34; BUR.B.647/1). Dramatic performances of the Ramayana emerged in the Konbaung Period (1752-1885). The king’s minister Myawady Mingyi U Sa converted the Ramayana Jataka into a typical Burmese classical drama and he also composed theme music and songs for its performance. Ever since then, Ramayana performances have been very popular in Burmese culture, and Yama zat pwe (Rama dramatic performances) and marionette stage shows are often held. Scenes from the Ramayana can also be found as motifs or design elements in Burmese lacquerware and wood carvings. 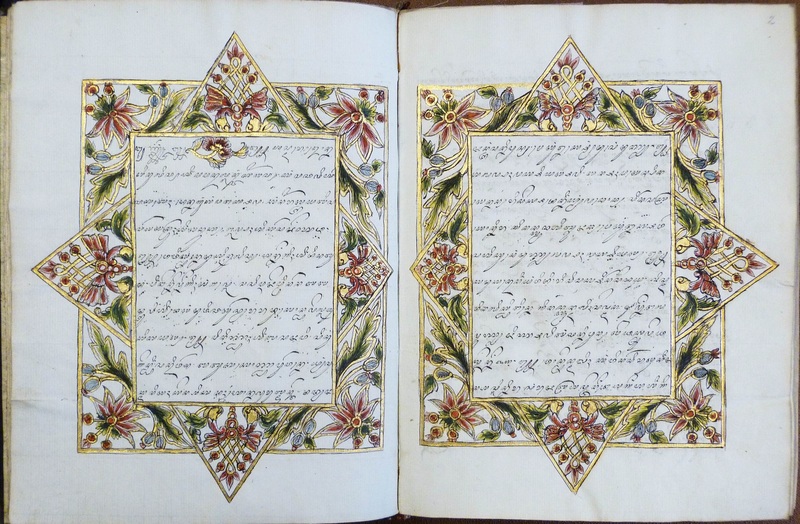 A digital copy of the manuscript is available online .